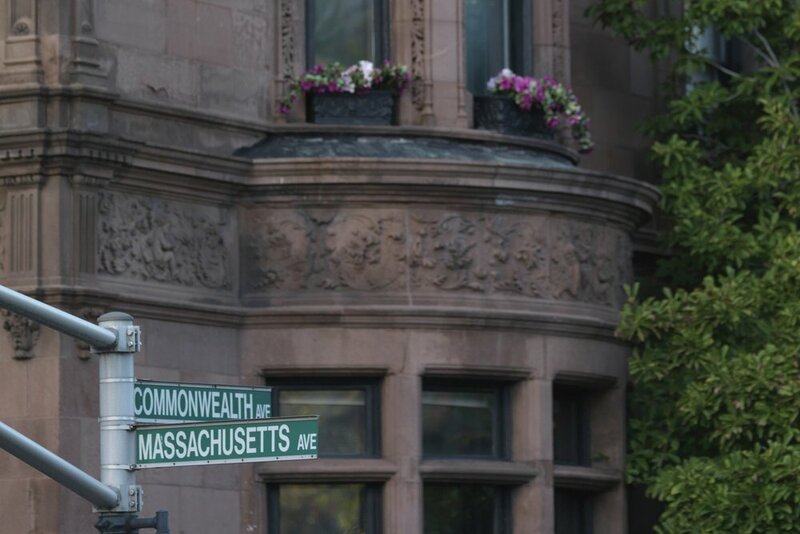 Seated at the intersection of Commonwealth and Massachusetts Avenues, two of the most stately boulevards of Boston’s Back Bay, Deuxave is tucked in one of Boston's most beautiful and desirable neighborhoods. 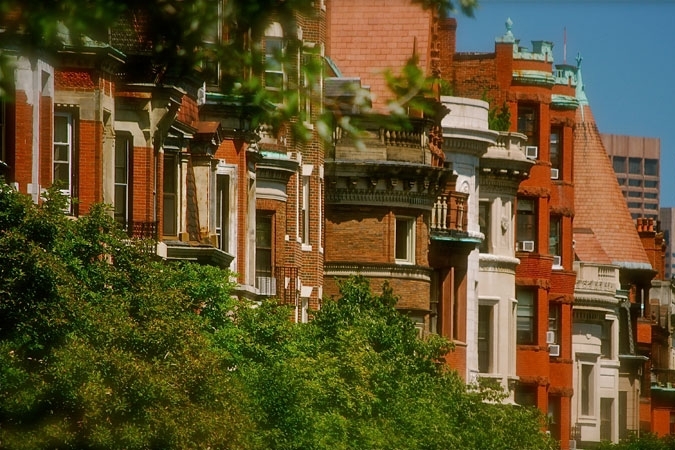 Just off the Commonwealth Avenue Mall, the expansive, tree-lined promenade running through the area, the restaurant is surrounded by everything from Victorian-era townhouses to 5-star hotels and even some of the country’s most world-renowned architecture in the Trinity Church. 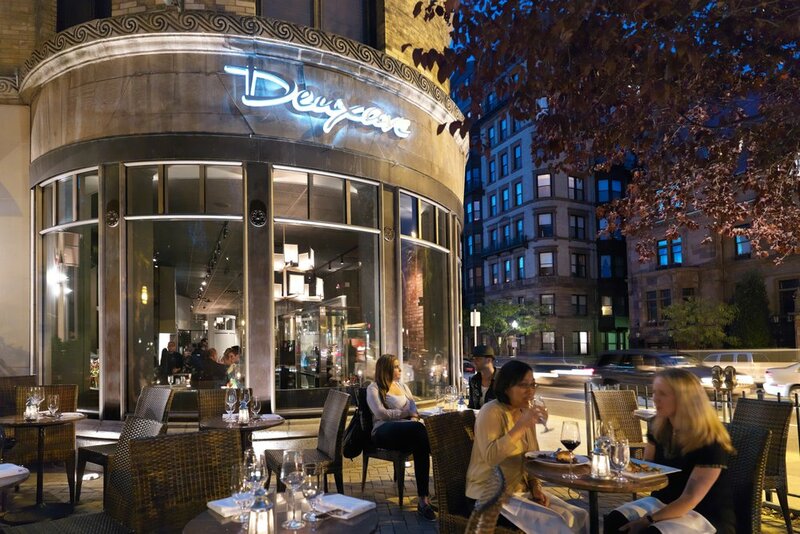 As Deuxave has risen the ranks as the premier dining destination for Boston’s Back Bay, visitors to the area will also find this neighborhood, along the Charles River, to be filled with the city’s best shopping, with The Prudential Center, Copley Place, and Newbury Street offering something for everyone. The Deuxave interior can be described as elegant, Bostonian chic and was designed by proprietor Brian Piccini in collaboration with Mark Bombara. The pair chose a palette of rich greys and incorporated luxurious materials, including stone and marble. The effect is elegant but not at all staid. Through floor-to-ceiling windows, guests enjoy views of the historic Back Bay brownstones as well as the grand promenade of Commonwealth Avenue. The dining room seats 90 people and showcases two semi-private dining nooks that flank the room’s fireplace. Guests enter through the bar and are met with a stunning wall of mirrors that reflect the Back Bay skyline. Guests are welcome to dine at the bar and during the warmer months, Deuxave opens a patio to Commonwealth Avenue that seats 30.